What are the External Product Identifiers or Unique Product Identifiers? The best practice to sell on Google Shopping is to provide GTIN and Brand value of your products. However, you can also use Brand and MPN for new products if GTIN is not assigned to the product you are selling. As a rule of thumb, if GTIN exists for your product, you should use it. However, while using the MPN value, you need to make sure that you are listing your products under the subcategory of Google product category. Here too, if your products and variations have GTIN number, you need to provide them while listing them. When can you skip the GTIN and use MPN and Brand attributes? Why so much focus on the Unique Product Identifier? While sending the bulk product to Google Shopping, you need to provide a value in the column “identifier_exists”. The values are true and false for every row which represents your individual products. If you send a false value on the identifier_exists column for the products that have Unique product identifiers assigned to them, you are risking your Google Merchant Center account suspension. 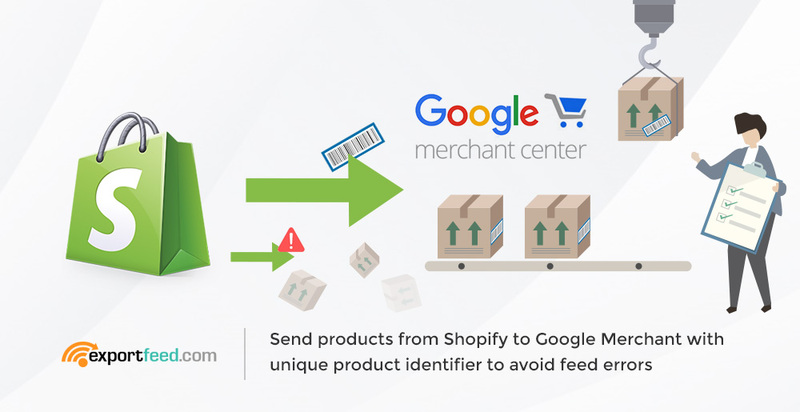 Next, it is an important attribute used by merchant sites like Google Shopping to properly categorize your products and display them alongside similar products – to increase visibility. How to add the Unique Product Identifiers to products of your Shopify store?